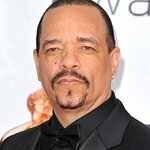 Ice-T and Coco will host the annual Bash for Bulldogs in December. They will be joined by Jill Rappaport, Animal Advocate and award-winning author, Cat Greenleaf, music by Axiom Addicts, and more at this one-time red-carpet moment! To help Long Island Bulldog Rescue raise urgently needed funds to help ground-breaking New York based-Long Island Bulldog Rescue (LIBR) help, heal and home a skyrocketing number of loving dogs in desperate need of forever families. PROCEEDS: All proceeds go to help, heal and home abandoned, abused, neglected and injured or ill English Bulldogs. WHO IS LONG ISLAND BULLDOG RESCUE AND WHAT DO THEY DO? The Goal: To help Long Island Bulldog Rescue raise urgently needed funds to help ground-breaking New York based-Long Island Bulldog Rescue (LIBR) help, heal and home a skyrocketing number of loving dogs in desperate need of forever families. Why NOW? Because Long Island Bulldog Rescue responds NOW, at the height of the Holiday Abandonment Season, when people abandon their growing puppies or injured dogs to attend this year’s parties, go on this year’s vacation…or when people are forced to surrender their dogs after health and other circumstances make it impossible to care for their dogs. Whether abandoned as impulsively as they are purchased…or surrendered by heartbroken families…they face imminent death. LIBR can only save as many as they can afford to help, heal and home.